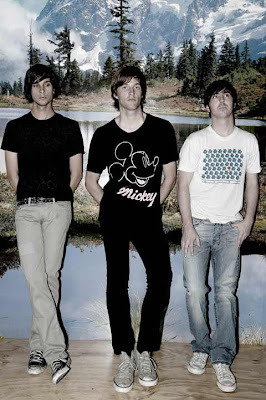 Cut Copy @ Studio B-onsale NOW! Get them while they are hot! These crazy Auzzies are sure to pull a heck of a good time, especially at Studio B (Saturday, March 15th)surrounding by the love of some fellow hipsters. Their show at The Mercury Lounge (Monday, March 17th) sold out in a matter of minutes so grab them while you can. YES!Please check here for more of their upcoming tour dates throughout Europe and the US of A, including a stop at Coachella. Lovely lovely Leslie Feist and Patrick Daughters have teamed up again for her latest video 'I Feel It All' (and my favorite track off of her album, The Reminder). Very simple and beautiful. She is currently touring Australia, Japan and Europe. Hopefully she will return to back to North America for Spring/Summer dates! NYC Ghostland Observatory fans everywhere are breathing a sigh of relief that they are playing at Webster Hall and not Terminal Five. Woot woot! Definitely excited to see Alex and Thomas again. I have been hearing great things about Robotique Majestique to be one of my favorites for this year! 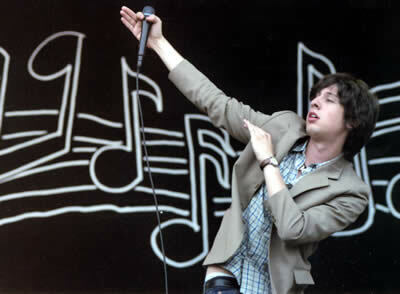 'Morning after Midnight'~new Adam Green Single! GO GET IT! Even though i have been battling with computer issues (hence the lack of blogging) this does NOT mean that I have not been doing my homework. Which means listening to my favorite music guru daily via KEXP. Johns' latest discovery, These New Puritans are my guess for the next biggest thing. Currently, their only scheduled US date is at SXSW, which sadly I will not be attending. I have my fingers crossed tightly for some sort of report of their live show from some of my friends who are attending, or even better yet...a live in studio session via KEXP?! Hopefully?! 'Elvis' is the first single off of their upcoming album, Beat.Pyramid is being released in the UK on January 28th (you lucky lucky willies!) via Domino Records and March 18th state side. Unfortunately I do not have a track for you to listen to, so you can check out their myspace page or some of my lovely fellow bloggers posts who have reported on them as well. Keep an eye out for spring dates- it will be this years' ticket to grab! Not sure why this show has yet to be listed as sold out....come on NYC! I have had a busy few weeks and am very excited to be back to *writing* and recommending shows and music for 2008...it's gonna be great. Hey, had to do that at LEAST once- and now that the cheesy comments are out of the way you should pan through your blank calendar for this upcoming year and mark a date on in your pages for The Foals. Representing what is BEST in UK salt and spit. Seriously, this young pranksters are as slick and fiesty as they come- but also as tight and talented as you will see early in this concert season. 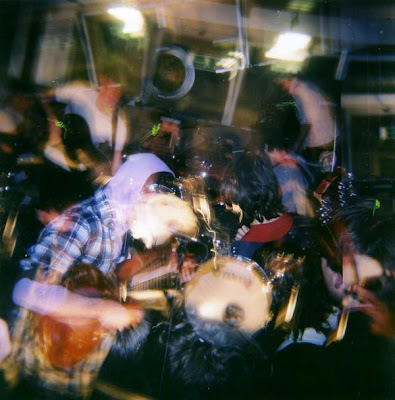 If you did not catch them during CMJ via BrooklynVegan and his party at Pianos than you definitely missed out- don't make the mistake a second time around. Tickets are on-sale now! Earlier today My Morning Jacket announced a special New York engagement at our lovely Radio City Music Hall for June 20th, with tickets going on sale Friday, January 25th on ticketmaster. This particular date will celebrate the release of their fifth (studio) album for the currently untitled project which will officially hit shelves on June 10th via ATO. It has been quite some time, or at least it feels like it has for me since i have written something proper and worthy of posting. Lucky for me Jaime keeps me in line and on point just when i need it. So do most of the bands I love, including our favorites Ghostland Observatory who are preparing for their upcoming album release, Robotique Majestique. The Austin duo is excited to release the follow up to Papparazzi Lightning and are presenting it to a formal hometown audience at the newly remodeled Austin Music Hall on February 29th, along with the price of admission, attendees shall recieve a copy of Robotique Majestique. Tickets for this event go on sale this Saturday, the 19th at 10:00 AM via Austin Music Hall's website. The "beast" known as The Mars Volta came into nYc last night and completely blew the roof off of Terminal 5. The band whose sound some may classify as Progressive Rock, played through a non-stop set, kicking it all off around 8:20 until 10:55. The band layed down a show heavy with new material and I do not think there was soul in the place that was be dissapointed with the vision of things to come via their upcoming release. Even on the heels of the departure of original drummer Jon Theodore, who has been replaced by the equally talented Thomas Armon Pridgen the band sounded electric and fresh. The new material, as with their more well known catalogue, really reminded me of a combination of Led Zeppelin mixed with Santana (I am not saying they are as great as either of these bands, but this is one band that you can mention these bands and they do give great justice to the sounds both those artists pioneered...and no, The Mars Volta DOES NOT mimic those bands sounds but creates one that lends feelings of the forementioned acts). If you have not experienced the duo made up of lead singer Cedric Bixler-Zavala and guitarist Omar Rodríguez-López you are truly missing out on some of the best live music out there right now. The only thing that can be said about this band is that their live show experience falls into two sides: either you love it or you hate it. It is easy to say from the scene of swaying bodies and dropped jaws that for those who showed up last night, The Mars Volta gave their audience all that they could asked for. Before I end this, the rest of the band is also equally deserving of praise. From the bombs being dropped on the bass the whole night, to the funky sound of the keys, to the rhythm guitarist perfectly complimenting Omar, to the percussion sides, to the ever so insane flute and horn player whose solos with Omar were impressive the nights' music was just one of those "experiences" that could have just gone on and on had the band not called it quits for the night. On a final note, when their latest album The Bedlam In Goliath's drops on Tuesday, January 28th this is sure to be an album to not be passed on. Judging from the sounds of last night this album has the chance to win over new fans as the band seems to have pushed their limits and have created something that will sure have fans asking for more of The Mars Volta in 2008...I know I want some more and it has been less than 24 hours since the show.